Growth By Claire Clifton - Elevation Co.
We all know we need it. But the process is not always comfortable. I know that in the times when I have felt so horribly restrained that I have just wanted to bust out and get crazy. Yet when I did I also felt insecure and in some ways was missing the confines of my previous restraint. Then there are the times when I am so keen for growth that the wait seems excruciatingly slow and I get frustrated with the waiting. I have been in that place lately. So I took myself out to our garden for inspiration. I looked at every tree and shrub and plant and inspected it for new growth. I was not disappointed. Yes, I even hugged a tree. I looked at our grape vines which I had eyed off suspiciously only a few weeks ago wondering if we should perhaps have pruned them more to promote more growth. For all intents and purposes, they looked dead. But looks can be deceiving. The work that was going on inside the vine must have been intense. In a human sense, it would have equated to growing new arms and legs! Very uncomfortable and even painful I would presume. And yet seeing nothing on the outside at all. No change. Nothing. 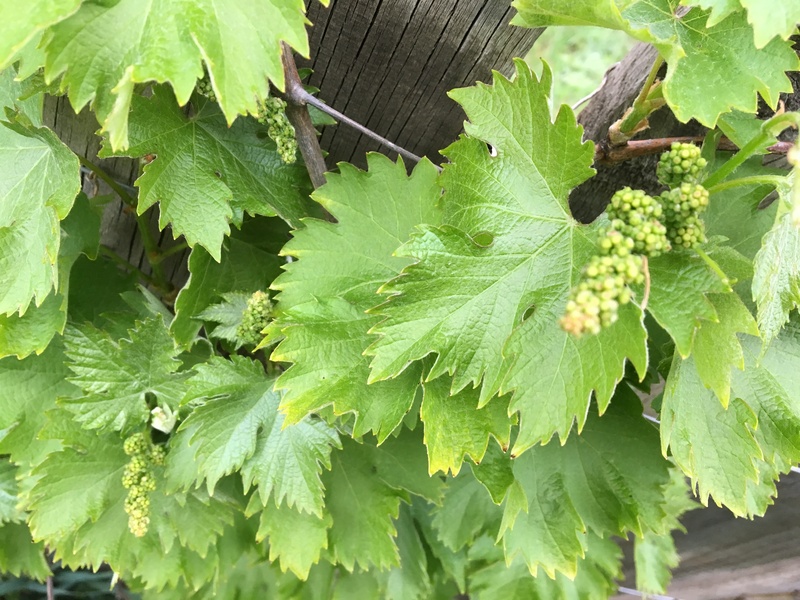 Looking lovingly at the vines bursting with new leaves and bunches and bunches of tiny grapes in the making, made me stop and take stock of what was happening inside of me. Sometimes our best solution to a problem is to stop and breathe and be thankful. To walk in a garden and revel in the mastery of life itself, and to just stop being so impatient to see results. They will come, as sure as Spring follows Winter.